He discovered how to reeducate his own movement when he was incapacitated by a sports-related injury and given little chance of ever walking without pain. Then he worked tirelessly to develop how to teach an intelligent relationship to gravity using principles of human learning, physics, and martial arts. He ingeniously focused on directed attention and novel movement patterns to restore faulty muscular learning. Dr. Feldenkrais devised thousands of Awareness Through Movement lessons to foster human development and learning. 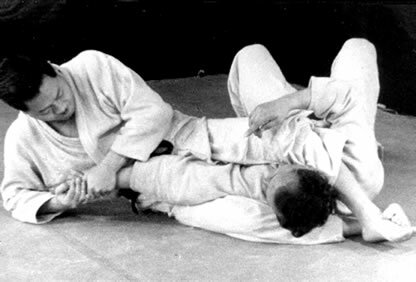 He applied his knowledge of anatomy, physiology, physics, and engineering, as well as his mastery of martial arts, to restore his own functioning and, later, the functioning of many others, including luminaries like David Ben-Gurion, Yehudi Menuhin, Peter Brooks, Gregory Bateson, Jonas Salk, and more. The method's success stems from his ability to offer extensive variations and creativity in human movement. These variations access our innate ability to make new neurological connections, just as we did when we first tested new movement patterns as babies and children. Read a chronological overview of Moshe's life.